Are you in search of a sophisticated vehicle that has all of the latest comfort and convenience features but not the steep price tag? If so, then you’re in luck. At Mercedes-Benz of Plano, we have a wide selection of affordable luxury cars, both new and gently used, for all budgets (with on-site financing to make it even easier to drive home). Yes, we have used and Certified Pre-Owned Mercedes-Benz models, but we also have a wide range of other options. Your dream vehicle really is within reach at Mercedes-Benz of Plano; find it below. *** BRAKE ASSIST ***, *** STABILITY CONTROL ***, *** REAR BACK UP CAMERA ***, *** LEATHER SEATS ***, *** HEATED SEATS ***, *** NAVIGATION SYSTEM ***, *** SUNROOOF / MOONROOF ***, *** MEMORY SEAT ***, 17" Split 5-Spoke Alloy Wheels, 4-Way Power Driver Lumbar Support, COMAND®® System w/Hard-Drive Navigation, Driver's Seat Memory & Power Steering Column, harman/kardon®® Logic 7® Surround Sound System, Heated Front Seats, iPod/MP3 Media Interface Cable, MP3 Media Interface, Multimedia Package, Premium 1 Package, Radio: In-Dash 6-Disc DVD/CD Changer, Rear-View Camera, SIRIUSXM Satellite Radio, Voice Control. Recent Arrival! 2014 Mercedes-Benz C-Class 4D Sedan Polar White C 250 22/31 City/Highway MPG 1.8L I4 DOHC 16V 7G-TRONIC PLUS 7-Speed Automatic RWD Call us today to schedule a hassle free test drive! We are located at 6455 Dallas Parkway, Plano, Texas 75024. Visit us online at www.mbplano.com. We offer free airport pickup. We can help facilitate low cost shipping directly to your door. Come see how easy it is to do business with the Ewing Automotive Group. Call us today to schedule a hassle free test drive! We are located at 6455 Dallas Parkway, Plano, Texas 75024. Visit us online at www.mbplano.com. We offer free airport pickup. We can help facilitate low cost shipping directly to your door. Come see how easy it is to do business with the Ewing Automotive Group. Reviews: * Swift and smooth acceleration; whisper-quiet interior; easy-to-use regenerative braking. Source: Edmunds*** BRAKE ASSIST ***, *** STABILITY CONTROL ***, *** REAR BACK UP CAMERA ***, *** LEATHER SEATS ***, *** HEATED SEATS ***, *** NAVIGATION SYSTEM ***, *** SUNROOOF / MOONROOF ***, *** MEMORY SEAT ***, 17" Split 5-Spoke Alloy Wheels, 4-Way Power Driver Lumbar Support, COMAND®® System w/Hard-Drive Navigation, Driver's Seat Memory & Power Steering Column, harman/kardon®® Logic 7® Surround Sound System, Heated Front Seats, iPod/MP3 Media Interface Cable, MP3 Media Interface, Multimedia Package, Premium 1 Package, Radio: In-Dash 6-Disc DVD/CD Changer, Rear-View Camera, SIRIUSXM Satellite Radio, Voice Control. *** BRAKE ASSIST ***, *** STABILITY CONTROL ***, *** LEATHER SEATS ***, *** HEATED SEATS ***, *** NAVIGATION SYSTEM ***, Stone Leather, 18" 5-Spoke Alloy Wheels, Active Ventilated Front Seats, Comfort Package, Trim Package, Wood & Leather Shift Knob, Wood & Leather Steering Wheel. Recent Arrival! Odometer is 6890 miles below market average! 2006 Mercedes-Benz SL-Class 2D Convertible Black SL 500 5.0L V8 SMPI SOHC 7-Speed Automatic Electronic with Overdrive RWD Call us today to schedule a hassle free test drive! We are located at 6455 Dallas Parkway, Plano, Texas 75024. Visit us online at www.mbplano.com. We offer free airport pickup. We can help facilitate low cost shipping directly to your door. Come see how easy it is to do business with the Ewing Automotive Group. Call us today to schedule a hassle free test drive! We are located at 6455 Dallas Parkway, Plano, Texas 75024. Visit us online at www.mbplano.com. We offer free airport pickup. We can help facilitate low cost shipping directly to your door. Come see how easy it is to do business with the Ewing Automotive Group. *** BRAKE ASSIST ***, *** STABILITY CONTROL ***, *** LEATHER SEATS ***, *** HEATED SEATS ***, *** NAVIGATION SYSTEM ***, Stone Leather, 18" 5-Spoke Alloy Wheels, Active Ventilated Front Seats, Comfort Package, Trim Package, Wood & Leather Shift Knob, Wood & Leather Steering Wheel. *** STABILITY CONTROL ***, *** REAR BACK UP CAMERA ***, *** LEATHER SEATS ***, *** HEATED SEATS ***, *** SUNROOOF / MOONROOF ***, *** MEMORY SEAT ***, 115V AC Outlet, 19" 5 Triple Spoke Wheels, Auto-Dimming Mirrors, Digital Compass Display, Garage Door Opener, Heated Front Seats, iPod/MP3 Media Interface Cable, iPod/MP3 Media Interface Package, Power Liftgate, Power Tilt/Sliding Panorama Sunroof, Premium 1 Package, SIRIUS XM Satellite Radio. Recent Arrival! Odometer is 33269 miles below market average! 2013 Mercedes-Benz GLK 4D Sport Utility Palladium Silver Metallic GLK 350 3.5L V6 DOHC 24V 7-Speed Automatic RWD Call us today to schedule a hassle free test drive! We are located at 6455 Dallas Parkway, Plano, Texas 75024. Visit us online at www.mbplano.com. We offer free airport pickup. We can help facilitate low cost shipping directly to your door. Come see how easy it is to do business with the Ewing Automotive Group. Call us today to schedule a hassle free test drive! We are located at 6455 Dallas Parkway, Plano, Texas 75024. Visit us online at www.mbplano.com. We offer free airport pickup. We can help facilitate low cost shipping directly to your door. Come see how easy it is to do business with the Ewing Automotive Group. Awards: * 2013 IIHS Top Safety Pick Reviews: * If you desire traditional SUV features, such as a flexible cargo area and an elevated seating position, but you want it in a smaller, more practical package, the 2013 Mercedes GLK is a good choice. Source: KBB.com * Solid feel; sophisticated ride and handling; powerful V6 engine; efficient diesel model; luxurious, impeccably crafted cabin; abundant safety features. Source: Edmunds*** STABILITY CONTROL ***, *** REAR BACK UP CAMERA ***, *** LEATHER SEATS ***, *** HEATED SEATS ***, *** SUNROOOF / MOONROOF ***, *** MEMORY SEAT ***, 115V AC Outlet, 19" 5 Triple Spoke Wheels, Auto-Dimming Mirrors, Digital Compass Display, Garage Door Opener, Heated Front Seats, iPod/MP3 Media Interface Cable, iPod/MP3 Media Interface Package, Power Liftgate, Power Tilt/Sliding Panorama Sunroof, Premium 1 Package, SIRIUS XM Satellite Radio. *** BRAKE ASSIST ***, *** STABILITY CONTROL ***, *** LEATHER SEATS ***, *** HEATED SEATS ***, *** NAVIGATION SYSTEM ***, *** MEMORY SEAT ***, AIRSCARF®® Neck-Level Heating System, Burl Walnut Trim on Center Console & Doors, harman/kardon®® Logic 7® Digital Surround, Heated Seats, iPod Media Interface, IR Remote Roof Automation, MP3 Media Interface, Multimedia Package, Premium 1 Package, Radio: COMAND® System w/Hard Drive Navigation, SIRIUSXM Satellite Radio, Trim Package, Wood/Leather Shift Knob, Wood/Leather Steering Wheel. CARFAX One-Owner. Clean CARFAX. 2012 Mercedes-Benz SLK 2D Convertible Black SLK 350 20/29 City/Highway MPG 3.5L V6 DOHC 24V 7-Speed Automatic with Shift Paddles RWD Call us today to schedule a hassle free test drive! We are located at 6455 Dallas Parkway, Plano, Texas 75024. Visit us online at www.mbplano.com. We offer free airport pickup. We can help facilitate low cost shipping directly to your door. Come see how easy it is to do business with the Ewing Automotive Group. Call us today to schedule a hassle free test drive! We are located at 6455 Dallas Parkway, Plano, Texas 75024. Visit us online at www.mbplano.com. We offer free airport pickup. We can help facilitate low cost shipping directly to your door. Come see how easy it is to do business with the Ewing Automotive Group. Awards: * JD Power APEAL Study Reviews: * If part of your self-description includes driving the best-looking convertible of the season with the richest looking interior, then it'll be easy to see yourself in the 2012 Mercedes-Benz SLK. Source: KBB.com * Abundant standard features; innovative roof and interior comfort options; well-built cabin; strong and efficient engines; comfortable ride; relatively large trunk. Source: Edmunds*** BRAKE ASSIST ***, *** STABILITY CONTROL ***, *** LEATHER SEATS ***, *** HEATED SEATS ***, *** NAVIGATION SYSTEM ***, *** MEMORY SEAT ***, AIRSCARF®® Neck-Level Heating System, Burl Walnut Trim on Center Console & Doors, harman/kardon®® Logic 7® Digital Surround, Heated Seats, iPod Media Interface, IR Remote Roof Automation, MP3 Media Interface, Multimedia Package, Premium 1 Package, Radio: COMAND® System w/Hard Drive Navigation, SIRIUSXM Satellite Radio, Trim Package, Wood/Leather Shift Knob, Wood/Leather Steering Wheel. *** BRAKE ASSIST ***, *** STABILITY CONTROL ***, *** LEATHER SEATS ***, *** MEMORY SEAT ***, *** ALLOY WHEELS ***, 18" Twin 5-Spoke Alloy Wheels. Certified. 2015 Mercedes-Benz GLA 4D Sport Utility Mountain Gray Metallic GLA 250 24/32 City/Highway MPG 2.0L I4 DI Turbocharged 4MATIC®® 7-Speed Automatic 4MATIC®® Mercedes-Benz Certified Pre-Owned Details: * Vehicle History * Transferable Warranty * Limited Warranty: 12 Month/Unlimited Mile beginning after new car warranty expires or from certified purchase date * Includes Trip Interruption Reimbursement and 7 days/500 miles Exchange Privilege * Roadside Assistance * Warranty Deductible: $0 * 165 Point Inspection Call us today to schedule a hassle free test drive! We are located at 6455 Dallas Parkway, Plano, Texas 75024. Visit us online at www.mbplano.com. We offer free airport pickup. We can help facilitate low cost shipping directly to your door. Come see how easy it is to do business with the Ewing Automotive Group. Call us today to schedule a hassle free test drive! We are located at 6455 Dallas Parkway, Plano, Texas 75024. Visit us online at www.mbplano.com. We offer free airport pickup. We can help facilitate low cost shipping directly to your door. Come see how easy it is to do business with the Ewing Automotive Group. Reviews: * Crave practicality and need four doors, but can't commit to a full-blown SUV? Slip into a GLA250. Feeling more extroverted about your driving? You will find satisfaction from the GLA45 AMG®'s more robust performance capabilities. Source: KBB.com * Sporty handling and performance from base model; stunning performance from AMG® version; premium interior materials; ample safety features. Source: Edmunds * Introducing the smallest new SUV from Mercedes-Benz, the GLA-Class. Its nimble size delivers an ideal mix of flexibility, fuel-efficiency and fun. Advanced aerodynamics enhance its efficiency and road holding while chrome roof rails and an integrated rear spoiler highlight the tautly arched roofline. A 208hp turbo engine powers the GLA250 while the GLA45 AMG® is powered by a class leading 355hp 4-cylinder engine powering you from 0-60 in 4.8 seconds. The 7-speed transmission combines the sportiness of a manual and smoothness of an automatic while also allowing you to take full control with the paddle shifters. 4MATIC® all-wheel drive also keeps the car full in control sending up to 50% of torque to the rear wheels as needed. The fuel saving ECO Start/Stop system can automatically shut off the engine while the vehicle is idle and start up again when the brakes are lifted. Inside get comfortable in the 14-way power adjustable seats while strategically placed LEDs cast a soothing yet unobtrusive glow on key interior areas. Displays and controls are logically placed while a 5.8 inch color display shows entertainment and info. Opt for the Multimedia Package and you get a 7-inch screen with features such as hard-drive based navigation, a 10GB hard drive for music, and the availability of Mercedes-Benz apps (Internet, Facebook, Movie Showtimes, Fuel Stations, Weather, Flight info, and more). Split folding rear seats allow for 17.2 cubic feet of space with the seats up or 43.6 when down. Safety features include 10-way airbags, adaptive braking technology, rain-sensing windsheild wipers. Available features include lane keeping assist, DISTRONIC PLUS® adaptive cruise control, and PARKTRONIC with Active Parking Assist and Exit. Source: The Manufacturer Summary*** BRAKE ASSIST ***, *** STABILITY CONTROL ***, *** LEATHER SEATS ***, *** MEMORY SEAT ***, *** ALLOY WHEELS ***, 18" Twin 5-Spoke Alloy Wheels. *** BRAKE ASSIST ***, *** STABILITY CONTROL ***, *** REAR BACK UP CAMERA ***, *** LEATHER SEATS ***, *** HEATED SEATS ***, *** NAVIGATION SYSTEM ***, *** SUNROOOF / MOONROOF ***, *** MEMORY SEAT ***, Blind Spot Assist, COMAND® System w/Hard-Drive Navigation, Comfort Suspension, Control Code, Electronic Trunk Closer, Hands-Free Access, harman/kardon® Logic 7® Surround Sound System, Heated Front Seats, KEYLESS GO® Package, Lane Keeping Assist, Lane Keeping Assist Package Code, Lane Tracking Package, Power Rear Window Sunshade, Power Tilt/Sliding Panorama Sunroof, Premium 1 Package, Radiator Grille w/Central Star, Rear-View Camera, SIRIUS Satellite Radio, Sport Body Styling, Sport Package, Wheels: 18" AMG® Twin 5-Spoke (660). Clean CARFAX. Odometer is 9645 miles below market average! 2014 Mercedes-Benz E-Class 4D Sedan Palladium Silver Metallic E 350 3.5L 6-Cylinder DOHC 7-Speed Automatic RWD Call us today to schedule a hassle free test drive! We are located at 6455 Dallas Parkway, Plano, Texas 75024. Visit us online at www.mbplano.com. We offer free airport pickup. We can help facilitate low cost shipping directly to your door. Come see how easy it is to do business with the Ewing Automotive Group. Call us today to schedule a hassle free test drive! We are located at 6455 Dallas Parkway, Plano, Texas 75024. Visit us online at www.mbplano.com. We offer free airport pickup. We can help facilitate low cost shipping directly to your door. Come see how easy it is to do business with the Ewing Automotive Group. Reviews: * Swift and smooth acceleration; whisper-quiet interior; easy-to-use regenerative braking. Source: Edmunds*** BRAKE ASSIST ***, *** STABILITY CONTROL ***, *** REAR BACK UP CAMERA ***, *** LEATHER SEATS ***, *** HEATED SEATS ***, *** NAVIGATION SYSTEM ***, *** SUNROOOF / MOONROOF ***, *** MEMORY SEAT ***, Blind Spot Assist, COMAND® System w/Hard-Drive Navigation, Comfort Suspension, Control Code, Electronic Trunk Closer, Hands-Free Access, harman/kardon® Logic 7® Surround Sound System, Heated Front Seats, KEYLESS GO® Package, Lane Keeping Assist, Lane Keeping Assist Package Code, Lane Tracking Package, Power Rear Window Sunshade, Power Tilt/Sliding Panorama Sunroof, Premium 1 Package, Radiator Grille w/Central Star, Rear-View Camera, SIRIUS Satellite Radio, Sport Body Styling, Sport Package, Wheels: 18" AMG® Twin 5-Spoke (660). *** BRAKE ASSIST ***, *** STABILITY CONTROL ***, *** REAR BACK UP CAMERA ***, *** LEATHER SEATS ***, *** HEATED SEATS ***, *** NAVIGATION SYSTEM ***, *** SUNROOOF / MOONROOF ***, *** MEMORY SEAT ***, AMG® Body Styling, Auto-Dimming Mirrors, Compass, Diamond Grille w/Silver Pins, Garage Door Opener, harman/kardon® Sound System, Heated Front Seats, KEYLESS GO®, Panorama Sunroof, Premium 1 Package, Rear-View Camera, SiriusXM Satellite Radio, Sport Appearance Package, Sport Package, Wheels: 18" AMG® Multi-Spoke Silver Finish Alloy. CARFAX One-Owner. 2016 Mercedes-Benz CLA 4D Sedan Polar Silver Metallic CLA 250 26/38 City/Highway MPG 2.0L I4 Turbocharged 7-Speed Double-clutch FWD Call us today to schedule a hassle free test drive! We are located at 6455 Dallas Parkway, Plano, Texas 75024. Visit us online at www.mbplano.com. We offer free airport pickup. We can help facilitate low cost shipping directly to your door. Come see how easy it is to do business with the Ewing Automotive Group. Call us today to schedule a hassle free test drive! We are located at 6455 Dallas Parkway, Plano, Texas 75024. Visit us online at www.mbplano.com. We offer free airport pickup. We can help facilitate low cost shipping directly to your door. Come see how easy it is to do business with the Ewing Automotive Group. Reviews: * Luxury-car status for a relatively affordable price; commendable power and handling; fiery performance from AMG® model. Source: Edmunds * Broad range of engine choices; quiet, upscale and well-built interior with a roomy backseat; long list of standard safety and technology features. Source: Edmunds*** BRAKE ASSIST ***, *** STABILITY CONTROL ***, *** REAR BACK UP CAMERA ***, *** LEATHER SEATS ***, *** HEATED SEATS ***, *** NAVIGATION SYSTEM ***, *** SUNROOOF / MOONROOF ***, *** MEMORY SEAT ***, AMG® Body Styling, Auto-Dimming Mirrors, Compass, Diamond Grille w/Silver Pins, Garage Door Opener, harman/kardon® Sound System, Heated Front Seats, KEYLESS GO®, Panorama Sunroof, Premium 1 Package, Rear-View Camera, SiriusXM Satellite Radio, Sport Appearance Package, Sport Package, Wheels: 18" AMG® Multi-Spoke Silver Finish Alloy. *** BRAKE ASSIST ***, *** STABILITY CONTROL ***, *** REAR BACK UP CAMERA ***, *** LEATHER SEATS ***, *** SUNROOOF / MOONROOF ***, *** MEMORY SEAT ***, Panorama Sunroof, Rear-View Camera. CARFAX One-Owner. 2016 Mercedes-Benz GLA 4D Sport Utility Cirrus White GLA 250 25/35 City/Highway MPG 2.0L I4 DI Turbocharged 7-Speed Automatic FWD Call us today to schedule a hassle free test drive! We are located at 6455 Dallas Parkway, Plano, Texas 75024. Visit us online at www.mbplano.com. We offer free airport pickup. We can help facilitate low cost shipping directly to your door. Come see how easy it is to do business with the Ewing Automotive Group. Call us today to schedule a hassle free test drive! We are located at 6455 Dallas Parkway, Plano, Texas 75024. Visit us online at www.mbplano.com. We offer free airport pickup. We can help facilitate low cost shipping directly to your door. Come see how easy it is to do business with the Ewing Automotive Group. Reviews: * Sporty handling and performance from base model; stunning performance from AMG® version; ample safety features. Source: Edmunds * Broad range of engine choices; quiet, upscale and well-built interior with a roomy backseat; long list of standard safety and technology features. Source: Edmunds*** BRAKE ASSIST ***, *** STABILITY CONTROL ***, *** REAR BACK UP CAMERA ***, *** LEATHER SEATS ***, *** SUNROOOF / MOONROOF ***, *** MEMORY SEAT ***, Panorama Sunroof, Rear-View Camera. *** BRAKE ASSIST ***, *** STABILITY CONTROL ***, *** REAR BACK UP CAMERA ***, *** LEATHER SEATS ***, *** HEATED SEATS ***, *** NAVIGATION SYSTEM ***, *** SUNROOOF / MOONROOF ***, *** MEMORY SEAT ***, 18" 5-Spoke Wheels, Adaptive Highbeam Assist, Bi-Xenon Headlamps w/Active Curve Illumination, COMAND®® System w/Hard-Drive Navigation, Lighting Package, Multimedia Package, Navigation Map Updates Included For 3-years, Radio: In-Dash 6-Disc DVD/CD Changer, Rear-View Camera, Voice Control. CARFAX One-Owner. 2015 Mercedes-Benz C-Class 2D Coupe Black C 350 20/28 City/Highway MPG 3.5L V6 DOHC 24V 7G-TRONIC PLUS 7-Speed Automatic RWD Call us today to schedule a hassle free test drive! We are located at 6455 Dallas Parkway, Plano, Texas 75024. Visit us online at www.mbplano.com. We offer free airport pickup. We can help facilitate low cost shipping directly to your door. Come see how easy it is to do business with the Ewing Automotive Group. Call us today to schedule a hassle free test drive! We are located at 6455 Dallas Parkway, Plano, Texas 75024. Visit us online at www.mbplano.com. We offer free airport pickup. We can help facilitate low cost shipping directly to your door. Come see how easy it is to do business with the Ewing Automotive Group. Reviews: * If you're a more conventional luxury enthusiast who digs the occasional fast-paced drive, the Mercedes C-Class could be your cup of tea. With its reassuringly traditionalist interior, the C-Class is more like a scaled down premium car than an aspirational entry-level offering - which we think is a good thing. Source: KBB.com * Meticulous construction and engineering; refined ride and handling; elegant interior; rip-roaring C 63 AMG® model. Source: Edmunds * Meticulous construction and engineering; refined ride and handling; elegant interior; rip-roaring C63 AMG® model. Source: Edmunds*** BRAKE ASSIST ***, *** STABILITY CONTROL ***, *** REAR BACK UP CAMERA ***, *** LEATHER SEATS ***, *** HEATED SEATS ***, *** NAVIGATION SYSTEM ***, *** SUNROOOF / MOONROOF ***, *** MEMORY SEAT ***, 18" 5-Spoke Wheels, Adaptive Highbeam Assist, Bi-Xenon Headlamps w/Active Curve Illumination, COMAND®® System w/Hard-Drive Navigation, Lighting Package, Multimedia Package, Navigation Map Updates Included For 3-years, Radio: In-Dash 6-Disc DVD/CD Changer, Rear-View Camera, Voice Control. *** BRAKE ASSIST ***, *** STABILITY CONTROL ***, *** REAR BACK UP CAMERA ***, 2 Additional Master Keys, 4 Removable Lashing Rails Anchors, Becker Map Pilot Navigation System, Cargo Protection Package, Comfort Driver's Seat, Comfort Passenger's Seat, Cruise Control, D-Rings Cargo Straps, Driver Comfort Package, Driver Efficiency Package, Driver Seat Lumbar Support, Floor Cargo Lashing Rails w/4 Anchors, Fog Lamps, Lower Console Storage Tray, Passenger Seat Lumbar Support, Rear Compartment LED Light Strip, Rear-View Camera, Sidewalls/Rear Doors Full Height Plastic Paneling, Waist Line Cargo Lashing Rails. Recent Arrival! CARFAX One-Owner. Clean CARFAX. 2016 Mercedes-Benz Metris 3D Cargo Van Arctic White Cargo 2.0L 4-Cylinder Turbocharged DOHC 7G-TRONIC 7-Speed Automatic RWD Call us today to schedule a hassle free test drive! We are located at 6455 Dallas Parkway, Plano, Texas 75024. Visit us online at www.mbplano.com. We offer free airport pickup. We can help facilitate low cost shipping directly to your door. Come see how easy it is to do business with the Ewing Automotive Group. Call us today to schedule a hassle free test drive! We are located at 6455 Dallas Parkway, Plano, Texas 75024. Visit us online at www.mbplano.com. We offer free airport pickup. We can help facilitate low cost shipping directly to your door. Come see how easy it is to do business with the Ewing Automotive Group. Reviews: * Broad range of engine choices; quiet, upscale and well-built interior with a roomy backseat; long list of standard safety and technology features. Source: Edmunds*** BRAKE ASSIST ***, *** STABILITY CONTROL ***, *** REAR BACK UP CAMERA ***, 2 Additional Master Keys, 4 Removable Lashing Rails Anchors, Becker Map Pilot Navigation System, Cargo Protection Package, Comfort Driver's Seat, Comfort Passenger's Seat, Cruise Control, D-Rings Cargo Straps, Driver Comfort Package, Driver Efficiency Package, Driver Seat Lumbar Support, Floor Cargo Lashing Rails w/4 Anchors, Fog Lamps, Lower Console Storage Tray, Passenger Seat Lumbar Support, Rear Compartment LED Light Strip, Rear-View Camera, Sidewalls/Rear Doors Full Height Plastic Paneling, Waist Line Cargo Lashing Rails. *** BRAKE ASSIST ***, *** STABILITY CONTROL ***, *** REAR BACK UP CAMERA ***, *** LEATHER SEATS ***, *** SUNROOOF / MOONROOF ***, *** MEMORY SEAT ***, 17" Split 5-Spoke Wheels, Artico Instrument Cluster, Panorama Sunroof, Rear-View Camera, Sport Package. Recent Arrival! CARFAX One-Owner. Clean CARFAX. 2016 Mercedes-Benz C-Class 4D Sedan Polar White C 300 25/34 City/Highway MPG 2.0L I4 Turbocharged Sport 7G-TRONIC PLUS 7-Speed Automatic RWD Call us today to schedule a hassle free test drive! We are located at 6455 Dallas Parkway, Plano, Texas 75024. Visit us online at www.mbplano.com. We offer free airport pickup. We can help facilitate low cost shipping directly to your door. Come see how easy it is to do business with the Ewing Automotive Group. Call us today to schedule a hassle free test drive! We are located at 6455 Dallas Parkway, Plano, Texas 75024. Visit us online at www.mbplano.com. We offer free airport pickup. We can help facilitate low cost shipping directly to your door. Come see how easy it is to do business with the Ewing Automotive Group. Reviews: * Broad range of engine choices; quiet, upscale and well-built interior with a roomy backseat; long list of standard safety and technology features. Source: Edmunds*** BRAKE ASSIST ***, *** STABILITY CONTROL ***, *** REAR BACK UP CAMERA ***, *** LEATHER SEATS ***, *** SUNROOOF / MOONROOF ***, *** MEMORY SEAT ***, 17" Split 5-Spoke Wheels, Artico Instrument Cluster, Panorama Sunroof, Rear-View Camera, Sport Package. *** BRAKE ASSIST ***, *** STABILITY CONTROL ***, *** REAR BACK UP CAMERA ***, *** LEATHER SEATS ***, *** MEMORY SEAT ***, 18" Twin 5-Spoke Alloy Wheels, Rear-View Camera. CARFAX One-Owner. Clean CARFAX. 2016 Mercedes-Benz GLA 4D Sport Utility Cirrus White GLA 250 25/35 City/Highway MPG 2.0L I4 DI Turbocharged 7-Speed Automatic FWD Call us today to schedule a hassle free test drive! We are located at 6455 Dallas Parkway, Plano, Texas 75024. Visit us online at www.mbplano.com. We offer free airport pickup. We can help facilitate low cost shipping directly to your door. Come see how easy it is to do business with the Ewing Automotive Group. Call us today to schedule a hassle free test drive! We are located at 6455 Dallas Parkway, Plano, Texas 75024. Visit us online at www.mbplano.com. We offer free airport pickup. We can help facilitate low cost shipping directly to your door. Come see how easy it is to do business with the Ewing Automotive Group. Reviews: * Sporty handling and performance from base model; stunning performance from AMG® version; ample safety features. Source: Edmunds * Broad range of engine choices; quiet, upscale and well-built interior with a roomy backseat; long list of standard safety and technology features. Source: Edmunds*** BRAKE ASSIST ***, *** STABILITY CONTROL ***, *** REAR BACK UP CAMERA ***, *** LEATHER SEATS ***, *** MEMORY SEAT ***, 18" Twin 5-Spoke Alloy Wheels, Rear-View Camera. *** BRAKE ASSIST ***, *** STABILITY CONTROL ***, *** REAR BACK UP CAMERA ***, *** LEATHER SEATS ***, *** HEATED SEATS ***, *** NAVIGATION SYSTEM ***, *** SUNROOOF / MOONROOF ***, *** MEMORY SEAT ***, 115V AC Power Outlet, Aluminum Roof Rails, Appearance Package, Auto-Dimming Mirrors, Blind Spot Assist, COMAND® System w/Hard-Drive Navigation, Digital Compass Display, Garage Door Opener, Heated Front Seats, iPod/MP3 Media Interface Cable, iPod/MP3 Media Interface Package, Lane Keeping Assist, Lane Keeping Assist Package Code, Lane Tracking Package, Multimedia Package, Navigation Map Updates Included For 3-years, Power Liftgate, Power Tilt/Sliding Panorama Sunroof, Premium 1 Package, Rear-View Camera, SIRIUS XM Satellite Radio, Wheels: 20" 5-Spoke. Recent Arrival! CARFAX One-Owner. 2015 Mercedes-Benz GLK 4D Sport Utility Polar White GLK 350 3.5L V6 DOHC 24V 7-Speed Automatic RWD Call us today to schedule a hassle free test drive! We are located at 6455 Dallas Parkway, Plano, Texas 75024. Visit us online at www.mbplano.com. We offer free airport pickup. We can help facilitate low cost shipping directly to your door. Come see how easy it is to do business with the Ewing Automotive Group. Call us today to schedule a hassle free test drive! We are located at 6455 Dallas Parkway, Plano, Texas 75024. Visit us online at www.mbplano.com. We offer free airport pickup. We can help facilitate low cost shipping directly to your door. Come see how easy it is to do business with the Ewing Automotive Group. Awards: * JD Power Vehicle Dependability Study Reviews: * If you're seeking a 5-passenger compact-luxury SUV with Mercedes' cachet, decent practicality and understated elegance, the 2015 GLK is easy proof that you've arrived - and know exactly where you're going. Fans of efficiency, meanwhile, have plenty to like in the GLK250 BlueTEC® clean diesel. Source: KBB.com * Solid feel; sophisticated ride and handling; powerful V6 engine; efficient diesel model; luxurious, impeccably crafted cabin; abundant safety features. Source: Edmunds * The 2015 Mercedes-Benz GLK-Class has an aggressive stance, with gorgeous sculpting on its side profile, a bold oversize grille, and large windows for superb visibility. It is offered in two models, the GLK250 BlueTEC®, and the GLK350. The GLK250 BlueTEC® comes equipped with a 200hp, 2.1L twin-turbo clean diesel engine, paired with a 7-speed automatic with shift paddles. The GLK350 has the same transmission, but is packing a 302hp, 3.5L, gasoline Direct Injection V6 engine under the. While both models offer 4MATIC® all-wheel drive, the GLK350 also gives you the option of available Rear-wheel Drive. The experience of the GLK interior is simply superb, and will immerse you in comfort and luxury. It is finished with soft-touch materials, and possesses an intuitive and clean instrument panel, Burl Walnut wood trim, and 8-way power-adjustable front seats. Option packages abound for the GLK-Class. There is the available Premium 1 Package, which features items such as a power lift gate, panorama roof, and media interface. Or, the optional Leather, Lighting, or Interior Ambient Lighting Packages might be to your liking as well. The available Multimedia Package is tough to resist with a 7-inch color screen, navigation system, rear view camera, 10GB of space for your music, and Dolby Digital 5.1 sound if you also order the available harman/kardon® sound system. Further, it boasts improved Voice Control for navigation, telephone and audio. Plus, the optional Lane Tracking Package gives you Lane Keeping Assist and Blind Spot Assist. Standard safety features include 9 airbags, Automatic Brake Drying, hill start assist, and NECK PRO® front headrests which move forward and slightly up to help reduce the severity of whiplash injuries. Source: The Manufacturer Summary*** BRAKE ASSIST ***, *** STABILITY CONTROL ***, *** REAR BACK UP CAMERA ***, *** LEATHER SEATS ***, *** HEATED SEATS ***, *** NAVIGATION SYSTEM ***, *** SUNROOOF / MOONROOF ***, *** MEMORY SEAT ***, 115V AC Power Outlet, Aluminum Roof Rails, Appearance Package, Auto-Dimming Mirrors, Blind Spot Assist, COMAND® System w/Hard-Drive Navigation, Digital Compass Display, Garage Door Opener, Heated Front Seats, iPod/MP3 Media Interface Cable, iPod/MP3 Media Interface Package, Lane Keeping Assist, Lane Keeping Assist Package Code, Lane Tracking Package, Multimedia Package, Navigation Map Updates Included For 3-years, Power Liftgate, Power Tilt/Sliding Panorama Sunroof, Premium 1 Package, Rear-View Camera, SIRIUS XM Satellite Radio, Wheels: 20" 5-Spoke. *** BRAKE ASSIST ***, *** STABILITY CONTROL ***, *** REAR BACK UP CAMERA ***, *** LEATHER SEATS ***, *** HEATED SEATS ***, *** AWD ***, *** MEMORY SEAT ***, 18" 5-Spoke Alloy Wheels, Heated Front Seats, Rear-View Camera. CARFAX One-Owner. Clean CARFAX. Odometer is 6567 miles below market average! 2016 Mercedes-Benz CLA 4D Sedan Mountain Gray Metallic CLA 250 24/33 City/Highway MPG 2.0L I4 Turbocharged 4MATIC®® 7-Speed Double-clutch 4MATIC®® Call us today to schedule a hassle free test drive! We are located at 6455 Dallas Parkway, Plano, Texas 75024. Visit us online at www.mbplano.com. We offer free airport pickup. We can help facilitate low cost shipping directly to your door. Come see how easy it is to do business with the Ewing Automotive Group. Call us today to schedule a hassle free test drive! We are located at 6455 Dallas Parkway, Plano, Texas 75024. Visit us online at www.mbplano.com. We offer free airport pickup. We can help facilitate low cost shipping directly to your door. Come see how easy it is to do business with the Ewing Automotive Group. Reviews: * Luxury-car status for a relatively affordable price; commendable power and handling; fiery performance from AMG® model. Source: Edmunds * Broad range of engine choices; quiet, upscale and well-built interior with a roomy backseat; long list of standard safety and technology features. Source: Edmunds*** BRAKE ASSIST ***, *** STABILITY CONTROL ***, *** REAR BACK UP CAMERA ***, *** LEATHER SEATS ***, *** HEATED SEATS ***, *** AWD ***, *** MEMORY SEAT ***, 18" 5-Spoke Alloy Wheels, Heated Front Seats, Rear-View Camera. 18" 5-Spoke Wheels, Blind Spot Assist, COMAND® Navigation & Voice Control, KEYLESS GO®, Multimedia Package, Navigation Map Updates Included For 3 Years, Panorama Sunroof, Premium 1 Package, Rear-View Camera, SiriusXM Satellite Radio, SiriusXM Traffic and Weather Services, Surround Light Mirror Mounted Entry Lamps. Recent Arrival! CARFAX One-Owner. 2016 Mercedes-Benz C-Class 4D Sedan Polar White C 300 25/34 City/Highway MPG 2.0L I4 Turbocharged 7G-TRONIC PLUS 7-Speed Automatic RWD Call us today to schedule a hassle free test drive! We are located at 6455 Dallas Parkway, Plano, Texas 75024. Visit us online at www.mbplano.com. We offer free airport pickup. We can help facilitate low cost shipping directly to your door. Come see how easy it is to do business with the Ewing Automotive Group. Call us today to schedule a hassle free test drive! We are located at 6455 Dallas Parkway, Plano, Texas 75024. Visit us online at www.mbplano.com. We offer free airport pickup. We can help facilitate low cost shipping directly to your door. Come see how easy it is to do business with the Ewing Automotive Group. Reviews: * Broad range of engine choices; quiet, upscale and well-built interior with a roomy backseat; long list of standard safety and technology features. Source: Edmunds18" 5-Spoke Wheels, Blind Spot Assist, COMAND® Navigation & Voice Control, KEYLESS GO®, Multimedia Package, Navigation Map Updates Included For 3 Years, Panorama Sunroof, Premium 1 Package, Rear-View Camera, SiriusXM Satellite Radio, SiriusXM Traffic and Weather Services, Surround Light Mirror Mounted Entry Lamps. *** BRAKE ASSIST ***, *** STABILITY CONTROL ***, *** REAR BACK UP CAMERA ***, *** LEATHER SEATS ***, *** HEATED SEATS ***, *** SUNROOOF / MOONROOF ***, *** MEMORY SEAT ***, 18" 5-Spoke Wheels, Blind Spot Assist, Heated Front Seats, KEYLESS GO®, Panorama Sunroof, Premium 1 Package, Rear-View Camera, SiriusXM Satellite Radio, Surround Light Mirror Mounted Entry Lamps. CARFAX One-Owner. Clean CARFAX. 2016 Mercedes-Benz C-Class 4D Sedan Black C 300 25/34 City/Highway MPG 2.0L I4 Turbocharged 7G-TRONIC PLUS 7-Speed Automatic RWD Call us today to schedule a hassle free test drive! We are located at 6455 Dallas Parkway, Plano, Texas 75024. Visit us online at www.mbplano.com. We offer free airport pickup. We can help facilitate low cost shipping directly to your door. Come see how easy it is to do business with the Ewing Automotive Group. Call us today to schedule a hassle free test drive! We are located at 6455 Dallas Parkway, Plano, Texas 75024. Visit us online at www.mbplano.com. We offer free airport pickup. We can help facilitate low cost shipping directly to your door. Come see how easy it is to do business with the Ewing Automotive Group. Reviews: * Broad range of engine choices; quiet, upscale and well-built interior with a roomy backseat; long list of standard safety and technology features. Source: Edmunds*** BRAKE ASSIST ***, *** STABILITY CONTROL ***, *** REAR BACK UP CAMERA ***, *** LEATHER SEATS ***, *** HEATED SEATS ***, *** SUNROOOF / MOONROOF ***, *** MEMORY SEAT ***, 18" 5-Spoke Wheels, Blind Spot Assist, Heated Front Seats, KEYLESS GO®, Panorama Sunroof, Premium 1 Package, Rear-View Camera, SiriusXM Satellite Radio, Surround Light Mirror Mounted Entry Lamps. *** BRAKE ASSIST ***, *** STABILITY CONTROL ***, *** REAR BACK UP CAMERA ***, *** LEATHER SEATS ***, *** MEMORY SEAT ***, AMG® Body Styling, Apple CarPlay, Diamond Grille w/Silver Pins, Night Package, Rear-View Camera, Smartphone Integration, Smartphone Integration (14U), Sport Appearance Package, Sport Package, Wheels: 18" AMG® Multi-Spoke Black Finish Alloy. Recent Arrival! CARFAX One-Owner. Clean CARFAX. Odometer is 11924 miles below market average! 2016 Mercedes-Benz CLA 4D Sedan Night Black CLA 250 26/38 City/Highway MPG 2.0L I4 Turbocharged 7-Speed Double-clutch FWD Call us today to schedule a hassle free test drive! We are located at 6455 Dallas Parkway, Plano, Texas 75024. Visit us online at www.mbplano.com. We offer free airport pickup. We can help facilitate low cost shipping directly to your door. Come see how easy it is to do business with the Ewing Automotive Group. Call us today to schedule a hassle free test drive! We are located at 6455 Dallas Parkway, Plano, Texas 75024. Visit us online at www.mbplano.com. We offer free airport pickup. We can help facilitate low cost shipping directly to your door. Come see how easy it is to do business with the Ewing Automotive Group. Reviews: * Luxury-car status for a relatively affordable price; commendable power and handling; fiery performance from AMG® model. Source: Edmunds * Broad range of engine choices; quiet, upscale and well-built interior with a roomy backseat; long list of standard safety and technology features. Source: Edmunds*** BRAKE ASSIST ***, *** STABILITY CONTROL ***, *** REAR BACK UP CAMERA ***, *** LEATHER SEATS ***, *** MEMORY SEAT ***, AMG® Body Styling, Apple CarPlay, Diamond Grille w/Silver Pins, Night Package, Rear-View Camera, Smartphone Integration, Smartphone Integration (14U), Sport Appearance Package, Sport Package, Wheels: 18" AMG® Multi-Spoke Black Finish Alloy. *** BRAKE ASSIST ***, *** STABILITY CONTROL ***, *** REAR BACK UP CAMERA ***, *** LEATHER SEATS ***, *** HEATED SEATS ***, *** MEMORY SEAT ***, AMG® Body Styling, Diamond Grille w/Silver Pins, KEYLESS GO®, Rear-View Camera, Sport Appearance Package, Sport Package, Wheels: 18" AMG® Multi-Spoke Silver Finish Alloy. CARFAX One-Owner. Clean CARFAX. Odometer is 2407 miles below market average! 2016 Mercedes-Benz CLA 4D Sedan Cirrus White CLA 250 26/38 City/Highway MPG 2.0L I4 Turbocharged 7-Speed Double-clutch FWD Call us today to schedule a hassle free test drive! We are located at 6455 Dallas Parkway, Plano, Texas 75024. Visit us online at www.mbplano.com. We offer free airport pickup. We can help facilitate low cost shipping directly to your door. Come see how easy it is to do business with the Ewing Automotive Group. Call us today to schedule a hassle free test drive! We are located at 6455 Dallas Parkway, Plano, Texas 75024. Visit us online at www.mbplano.com. We offer free airport pickup. We can help facilitate low cost shipping directly to your door. Come see how easy it is to do business with the Ewing Automotive Group. Reviews: * Luxury-car status for a relatively affordable price; commendable power and handling; fiery performance from AMG® model. Source: Edmunds * Broad range of engine choices; quiet, upscale and well-built interior with a roomy backseat; long list of standard safety and technology features. Source: Edmunds*** BRAKE ASSIST ***, *** STABILITY CONTROL ***, *** REAR BACK UP CAMERA ***, *** LEATHER SEATS ***, *** HEATED SEATS ***, *** MEMORY SEAT ***, AMG® Body Styling, Diamond Grille w/Silver Pins, KEYLESS GO®, Rear-View Camera, Sport Appearance Package, Sport Package, Wheels: 18" AMG® Multi-Spoke Silver Finish Alloy. *** BRAKE ASSIST ***, *** STABILITY CONTROL ***, *** REAR BACK UP CAMERA ***, *** LEATHER SEATS ***, *** HEATED SEATS ***, *** SUNROOOF / MOONROOF ***, *** MEMORY SEAT ***, AMG® Body Styling, Apple CarPlay, Auto-Dimming Mirrors, COMAND System w/Hard Drive Navigation, DVD Player, Compass, Diamond Grille w/Silver Pins, Garage Door Opener, harman/kardon® Sound System, Heated Front Seats, KEYLESS GO®, Multi-Media with Smartphone Integration, Navigation Map Updates Included For 3 Years, Night Package, Panorama Sunroof, Premium 1 Package, Rear-View Camera, Single CD/DVD Player, SiriusXM Satellite Radio, Smartphone Integration (14U), Sport Appearance Package, Sport Package, Wheels: 18" AMG® Multi-Spoke Black Finish Alloy. CARFAX One-Owner. Clean CARFAX. Odometer is 8501 miles below market average! 2016 Mercedes-Benz CLA 4D Sedan Night Black CLA 250 26/38 City/Highway MPG 2.0L I4 Turbocharged 7-Speed Double-clutch FWD Call us today to schedule a hassle free test drive! We are located at 6455 Dallas Parkway, Plano, Texas 75024. Visit us online at www.mbplano.com. We offer free airport pickup. We can help facilitate low cost shipping directly to your door. Come see how easy it is to do business with the Ewing Automotive Group. Call us today to schedule a hassle free test drive! We are located at 6455 Dallas Parkway, Plano, Texas 75024. Visit us online at www.mbplano.com. We offer free airport pickup. We can help facilitate low cost shipping directly to your door. Come see how easy it is to do business with the Ewing Automotive Group. Reviews: * Luxury-car status for a relatively affordable price; commendable power and handling; fiery performance from AMG® model. Source: Edmunds * Broad range of engine choices; quiet, upscale and well-built interior with a roomy backseat; long list of standard safety and technology features. Source: Edmunds*** BRAKE ASSIST ***, *** STABILITY CONTROL ***, *** REAR BACK UP CAMERA ***, *** LEATHER SEATS ***, *** HEATED SEATS ***, *** SUNROOOF / MOONROOF ***, *** MEMORY SEAT ***, AMG® Body Styling, Apple CarPlay, Auto-Dimming Mirrors, COMAND System w/Hard Drive Navigation, DVD Player, Compass, Diamond Grille w/Silver Pins, Garage Door Opener, harman/kardon® Sound System, Heated Front Seats, KEYLESS GO®, Multi-Media with Smartphone Integration, Navigation Map Updates Included For 3 Years, Night Package, Panorama Sunroof, Premium 1 Package, Rear-View Camera, Single CD/DVD Player, SiriusXM Satellite Radio, Smartphone Integration (14U), Sport Appearance Package, Sport Package, Wheels: 18" AMG® Multi-Spoke Black Finish Alloy. 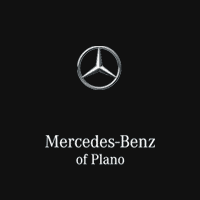 Why Choose Mercedes-Benz of Plano for Affordable Luxury Cars for Sale in Plano, TX ? Mercedes-Benz of Plano not only has an outstanding array of affordable luxury cars to choose from, but we also make the vehicle shopping process quick, convenient, and hassle-free. Our commitment to our customers does not end when you take your new vehicle home. We have a state-of-the-art service center to ensure your vehicle runs like new for many years to come. If you have any questions, be sure to contact us at your convenience. We look forward to showing you our remarkable affordable luxury cars.